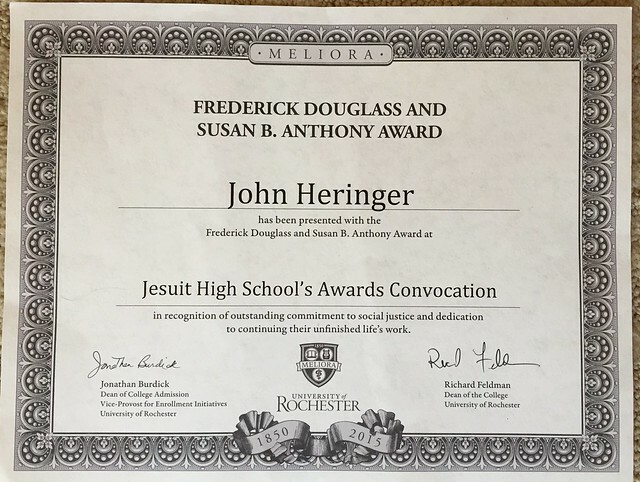 Sharon, Jack and I went to the 2015 Jesuit Awards Convocation. We went last year. 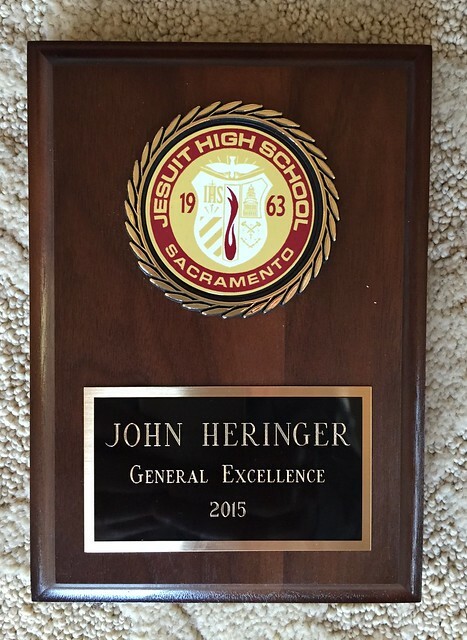 Like last year, Jack got a General Excellence Award. Jack also got one of the Junior Book Awards. They gave a number of awards by subject to outstanding juniors. 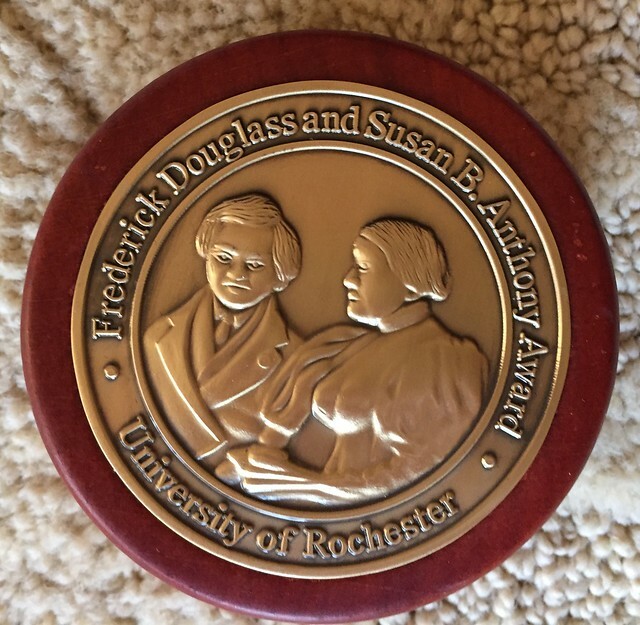 Jack won the Frederick Douglas and Susan B. Anthony Award from the University of Rochester. This award is for Humanities and Social Studies. I wish that there was a list of who won which book award. I know that Matthew won the Science and Math award, but I am confused about which book award Marco won. I am very proud of Jack's academic accomplishments!